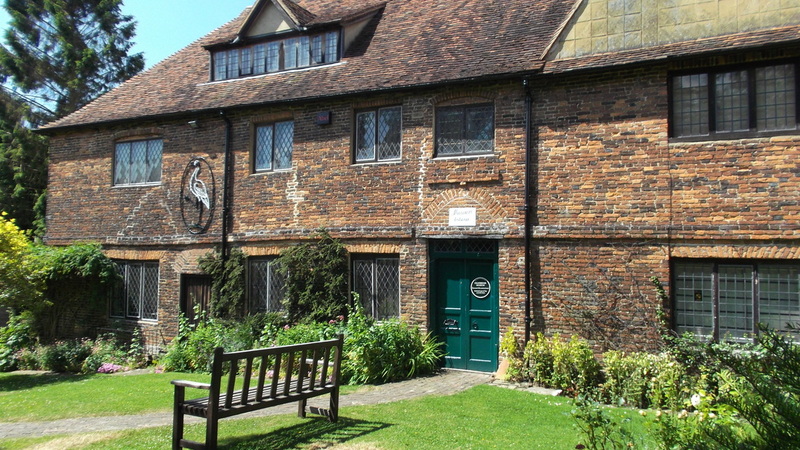 The museum first opened in 1973 and is run as a non-profit organisation staffed entirely by volunteers from Cranbrook Museum & Local History Society, which exists to promote interest in Cranbrook and to preserve for future generations all aspects of its history. A late 15th century timber framed building, the oldest part was probably used to house the bailiff of the Rectory Farm, belonging to the Archbishops of Canterbury. Internally there are some fine original features including a dragon beam and massive moulded corner post but there have been many later additions and changes of use. Its tenant in the late 16th century was Richard Taylor, a member of one of Cranbrook’s rich clothier families. In the 1620s the old medieval hall was rebuilt with two new brick chimney stacks whose inglenook fireplaces can still be seen today. During the 17th century the building was in use as the Rectory and the brick facing to the north and west walls was added by Charles Buck, vicar of Cranbrook, in 1683. Evidence of the date of this transformation is recorded in the external plasterwork. In the 19th century the building was divided into four cottages, which in 1889 were bought by a local solicitor, W T Neve. More external renovations were made and a further date was added. Later, the cottages came into the possession of Cranbrook Rural District Council and, in 1971, one cottage was made available to the Cranbrook & District Local History Society for its museum. As other cottage tenants left, the museum gradually expanded into the vacant properties. After 1995 the whole building was conserved and refurbished by Tunbridge Wells Borough Council and adapted to house the much increased and expanding museum collections, displays and archives. The building was Grade II listed in 1967.